2. How Much Do Military Credits Increase Social Security Benefits? 3. Are Social Security Benefits Reduced If You Receive Military Disability Payments? 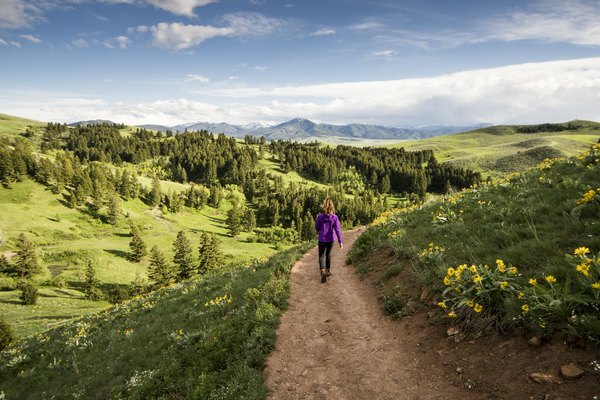 Montana has long been considered a unique haven for retirees due in large part to the vast natural beauty of the area and a relatively low cost of living. With regards to tax policy, however, retirees living in this particular state may not receive the same favorable level of treatment that can be found in other areas of the country. For example, residents of Montana are required to pay state-level income tax on Social Security benefits they receive from the federal government if their income exceeds designated amounts, a policy that does not exist in the vast majority of states. Understanding how state income tax specifically applies to Social Security benefits in Montana can help residents of this state better prepare for their golden years. In the state of Montana, retirees who are receiving Social Security benefits will have to pay state income tax on these distributions if their income exceeds a certain threshold. Any money received as part of Social Security benefits will be combined with all other income sources as part of statewide income tax calculations. According to state governmental officials, any Social Security benefits received by a retiree are considered a component of their general income. If, for example, a retiree continues to work in some capacity while also receiving Social Security benefits, tax assessors in Montana will consider all of this income to be relevant to state tax laws. With that in mind, retirees in Montana should be fully prepared to set aside enough of their retirement income to cover their tax burden on an annual basis. Fortunately, the exact amount of money that will be owed to the state government can be calculated without too much effort on the part of the retiree in question. Keep in mind, however, that Social Security benefits will only be taxed if an individual's income exceeds specific limits. For example, if an individual is filing alone and has an income below $25,000, their Social Security benefits will not be taxed. If their income level is between $25,000 and $34,000, half of Social Security benefits remain deductible. Once an individual's income exceeds $34,000, only 15 percent of their total benefits are deductible. It is very important to remember that these calculations only apply to Social Security benefits and taxes on the state level. The federal government does not tax Social Security benefits in the event that they constitute 100 percent of a retirees income. It is only when income sources are diversified that the IRS begins taxing Social Security benefits. Even then, individuals will only ever be taxed on a maximum of 85 percent of their Social Security benefits by the federal government. Federal policies are nearly identical to those found in Montana regarding income levels and tax exemption. When an individual is making less than $25,000, the federal government does not tax their Social Security benefits. When income levels exceed $25,000 but fall short of $34,000, half of the benefits are taxed. Once income exceeds $34,000, 85 percent of Social Security benefits will be taxed. With these ideas in mind, Montana residents may discover that they are paying two different sums of money for state and federal taxes even though both taxes are applied to a single source of benefits. Currently, the state of Montana maintains seven distinct tax brackets as part of their state income tax regulations. For tax year 2018, the highest income tax bracket applies to individuals making more than $17,600 annually and is equal to 6.9 percent of adjusted income. The lowest tax bracket applies to individuals earning up to $2,900 annually and features a tax rate of 1 percent of adjusted income. Generally speaking, Montana income tax rates are lower than surrounding states. Additionally, it is important to remember that these tax rates apply to adjusted gross income rather than total income. Because of this, residents of Montana who are receiving Social Security benefits may also be able to lower their total tax bill by claiming deductions and credits that they are eligible for. As mentioned previously, Montana's decision to tax Social Security benefits exists at odds with the policies established by the federal government. Given the fact that the IRS chooses not to tax Social Security benefits in a situation where Social Security benefits are their sole form of income, calculating a retiree's income tax burden on the federal level may be a different process than that which occurs on the state level. If an individual earns Social Security benefits in addition to income from other sources, it is quite likely that they can expect to be taxed on both the state and federal level. However, the situation will change dramatically if a Montana retiree is only relying on Social Security as their income source. With that in mind, fully unemployed retirees can expect their federal income reporting to be noticeably less than their Montana reports. Various deductions and credits available to senior citizens can help reduce these income calculations even further. Depending upon the individuals specific employment status, medical condition, etc., there may be various ways to lower the federal tax burden and ensure the best possible savings during tax filing. In order to move forward with their state income taxes, retirees in Montana can use Worksheet VIII, which is included as part of the state tax return filing documentation. Worksheet VIII provides a quick and easy method for calculating what percentage of Social Security benefits are deductible based upon your current income levels. Worksheet VIII is divided into a series of intuitive steps and calculations that should be easily understood by all filers. That being said, individuals who may still have questions concerning their tax responsibilities with respect to their Social Security benefits should consult with a local tax professional. These individuals can help ensure that a retiree doesn't inadvertently file state taxes incorrectly, incurring financial penalties the process. Although the process of determining your specific tax obligation can be somewhat confusing to begin with, a small amount of guidance may help streamline this process for years to come. For assistance with federal tax guidelines, Montana residents are encouraged to consult with a tax professional or browse the extensive collection of tax-related documentation provided by the IRS. The vast majority of questions and concerns regarding Social Security benefits and taxes can be resolved using this immensely helpful resource. As always, it is better to confront any nagging concerns you may have about your tax return now in order to avoid facing unpleasant fines or penalties following both your state and federal filing. For many retirees, the cost of an IRS penalty or monetary fine from the state government can eat into precious retirement savings quickly.